You've written a sales letter that you think is going to knock their socks off. Before you mail it out, have a look at these sales letters tips to make sure you're maximizing the return on your sales letter campaign. If the intent of your sales letter is to sell home renovation services, for example, you want to send it just to homeowners in your area, not to apartment dwellers. While the best mailing list is one that you've built personally from your prospect list, Canada Post offers householder counts that you can use to focus your sales letter campaign on specific categories of potential customers. You can also buy mailing lists from mail list brokers. 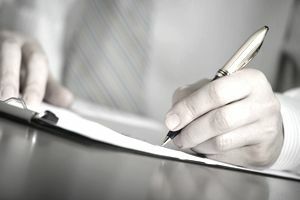 Addressing the sales letter personally rather than using a salutation such as Dear Friend or Dear Homeowner increases the response rate to your sales letter. Using mail merge makes this easy to do. All your customers or clients are not the same. So why expect them all to be persuaded by the same sales letter? Create different versions of your sales letter for different segments of your target market by emphasizing different benefits of your offer or by changing the benefits completely. One of the keys to a successful sales letter is making it easy for your prospective customer to take action. Including an order form with your letter gives the customer another option for taking immediate action, making it easier for her to respond by fax or mail. The general rule is that the closer your sales letter resembles a typed letter from one person to another the better the response. You may find including a single photo of your product (with a caption) works well, but leave the intensive graphics for your brochure. You don't want your sales letter to look like an advertisement. Printing the name and address of the recipient directly onto the envelope will increase your sales letter response. Also, direct marketing studies have shown that having names and addresses handwritten is the surest way to get your sales letter opened. However, this may not be appropriate for your business image. If you've got a good response to an initial mailing of your sales letter, sending out another mailing to the same list should get a response of about half the original response  not bad at all when the work of writing the sales letter and figuring out who to send it to is already done! Mailing your sales letter directly to prospective customers isn't the only way to get them to see and read it. Youll find many examples of websites that are nothing but long sales letters with order forms, and some of these are very successful. Whether it will work for you or not will depend on the nature of your product or service (as well as the quality of your sales letter). Besides sending your sales letter to prospective customers through the mail, you might also use email. However, be aware that people generally are more receptive to unsolicited mail that arrives through the mail than to unsolicited email. The Canadian Marketing Association says that Average response rates range between 1% and 3%, but can be as low as 0.25% for high-value items or in a very competitive market, or as high as 25% when dealing with current customers. Figuring out whether a direct mailing campaign is worth it depends on how these percentages translate into numbers. If you're selling home heating units at $3000 each, and your 3000 sales letters have a response rate of only 1%, that's still a very profitable campaign. But a response rate of 1% may not bring in an acceptable profit at all if you're selling mugs for $8.99 each. Its the profit your direct marketing campaign brings in (minus the cost of the campaign) that determines whether or not your sales letter has been effective, not the response rate itself. Armed with these tips, you should be well on your way to conducting a successful sales letter campaign. Direct marketing is still one of the most effective marketing strategies out there  as long as you send the right sales letter to the right people the right way.